Pasadena’s first school dated to the “pioneer” period in 1875 which according to historian Hiram A. Reid was a little rough board building, with its one teacher and very quickly, too many young scholars. The school had actually begun somewhat earlier on September 10, 1874 in school teacher’s Jeannie Clapp’s father’s home with two students, the twin daughters, Jennie and Jessie of Colonel Banbury. The San Pasqual School District was created in 1874. Along with Henry G. Bennett and Jabez Banbury who were voted in as trustees for the new district, Mrs. Carver, the former Jeannie Clapp, was officially recognized as the first teacher of the district. The new school district embraced the entire original colony (east to Santa Anita Road, and to the mountains on the north). west of Fair Oaks Avenue. for the use of a building he had built on Rose Hill, just west of Columbia Hill. In 1883, the district purchased the land on Columbia Hill where Riley built another new schoolhouse. With the construction of the school complete on Columbia Hill, C.B. Riley made the Rose Hill building his home. In 1884 the district sold the Columbia Hill schoolhouse for $1,000 to the developers of what was to become Pasadena’s first college, Sierra Madre College. Unfortunately, because of fiscal insolvency, the institution of higher education was forced to close its doors after just two years. The building and land were subsequently purchased by C.D. Daggett where he made his home. Columbia School was moved to a new building on Lake St., south of Walnut. Page, Henry Markham. Pasadena: Its Early Years. 1964. Lorrin L. Morrison, Print and Publishing. This entry was posted in Featured on June 14, 2018 by Linda Stewart. Young Phong, Pasadena Public Library. Walk into any public library today and you are sure to find a children’s room or area. We take for granted that many modern libraries have a separate children’s room that is complete with its own collection, programming, budget, and staff. That was not the case over a century ago, however, when the idea of youth services simply did not exist. With a few exceptions, the first public libraries in the United States were not open to children.1 American libraries in the early nineteenth century were intended to “provide good reading to adults who were not wealthy enough to purchase their own books and to help assimilate immigrants from Europe into American society” (Walter, 2001, p. 1). Children were either not admitted or allowed membership. In 1876, the U.S. Bureau of Education commissioned a study on public libraries in the United States. One of the contributing writers was the American librarian William I. Fletcher who wrote a chapter entitled “Public Libraries and the Young” in which he strongly advocated for the inclusion of children in libraries. His argument for greater library access to the young was based on a need to develop good reading habits and a taste for good books that are “instructive and stimulating to the better nature” (p. 416) and also on the premise that the public library as an educational institution has not only the power but an obligation to reach children early in their lives and steer them toward literature that will influence them to be good and productive citizens later in life. Fletcher’s message was consistent with some of the progressive ideas developing at that time, particularly those that were concerned with the moral and intellectual upbringing of America’s youth; and it’s not surprising, then, that many libraries throughout the U.S. began to extend services to children shortly after the Bureau of Education published its special report. But it wasn’t until the early 1890s that they began providing designated spaces for children, replete with books and furnishings suitable for them. By the end of the nineteenth century, children’s service had become an integral part of public library service and the children’s room became a standard feature of almost every major public library in the United States (Jenkins, 1994; Hearne & Jenkins, 1999; McDowell, 2013). A number of libraries have claimed to be the first to have a children’s room. The Boston Public Library states on its webpage that it’s “the first library to establish a space specifically designated for children” (Boston Public Library, n.d.). Its Children’s Room opened in 1895 with over 3,000 books for young readers. However, not too far away, the Public Library of Brookline in Massachusetts may have a stronger claim. It opened a children’s reading room in 1890 in the basement of the library (Dickson, 1986). Its webpage states that it established “one of the first reading rooms in the country” and that it was “influential in sparking the expansion of library services to children across the country” (The Public Library of Brookline, 2017, para. 1 and 4). As “one of the first,” it shares this honor with the Pawtucket Public Library in Rhode Island whose webpage makes a modest claim that it’s “one of the first libraries to allow children under the age of fourteen into the public library” (Pawtucket Public Library, 2017, para. 4). Its first librarian, Minerva Sanders, was the first librarian to do something for children, and she is often credited as being a pioneer in extending services to them. She created the first separate children’s area in a corner of the reading room in 1887, but prior to this, she had been admitting children into the library (Dickson, 1986; Hearne & Jenkins, 1999, McDowell, 2013). Being the first or one of the first libraries to have a children’s room certainly has great historical significance, and a few libraries across the U.S. have that distinction. The Pasadena Public Library doesn’t claim to have had the first children’s room, but it was one of the many urban libraries that opened their doors to children in the late 1890s and was quickly recognized as being a pioneer in children’s services in California and throughout the United States. Like many libraries that began offering children’s services in the latter part of the nineteenth century, the Pasadena Public Library used a corner of the adult circulation hall as its first children’s room.2 The “children’s corner,” as it was called, was first mentioned in the April 1899 Monthly Bulletin, an early library newsletter that was begun in January of that year. According to the 1899 Library Annual Report, the children’s corner contained over a thousand volumes of juvenile materials and was well patronized. It was decorated with beautiful colored plates of various flora and fauna that were designed to inspire children to learn something about the subjects represented (Annual Report, 1899). What set Pasadena apart from other libraries of its day was that it admitted children as young as eight to membership when most libraries had a minimum age of twelve (Zorbas & Cain, 1982; McDowell, 2013). The admission age of eight was an innovative idea that was conceived by the Library and adopted by the Board of Trustees in late 1898 or early 1899. In 1900, three rooms were added to the main library with one being used for a new children’s room. While mention of this room first appeared in the March 1901 Monthly Bulletin and in the 1901 Annual Report, it’s believed that it was operational shortly after the renovation was completed in September 1900.3 Both the Bulletin and the Annual Report note that the children’s new room, which could be entered from a separate vestibule, was “greatly appreciated by its juvenile patrons.” It housed many popular children’s books, and like the original children’s corner, the room was decorated with colorful plates of plants and animals and artistic Mother Goose posters on the wall (Annual Report, 1901). A notable feature of the children’s room was that it had its own entrance via a vestibule where was located a lavatory with soap and towels. Children who wished to draw a book from the shelf were required to show the librarian a pair of clean hands before their request could be met, and those who appeared with “unclean digits” were asked “to step to the washstand and clean up before drawing a book” (“Dirty hands banned,” 1900, p. 15). In addition to promoting books of literary merit and providing good reading to children, Pasadena promoted and advocated cleanliness (Wiegand, 2015). In many respects, the children of Pasadena had their own department with a room and books that they could call their own. In the 1900 Annual Report, “juvenile department” was used for the first time to refer to the children’s room and its collection, and the number of children who applied for membership was included in its statistical data on new registration and circulation, an indication that they were viewed as regular library users and recognized as such. During the 1900 fiscal year, 184 boys and 234 girls registered for membership. It notes that the admission of children eight years of age to membership contributed to the increase in the number of juvenile books being circulated. Despite the establishment of a juvenile department at a comparatively early date, the Library did not yet have a children’s librarian to manage it and its growing collection. It would not be another eleven years until one was hired. In the meantime, the children’s room was well managed by Nellie Russ—head librarian—and her staff who selected good books for the juvenile collection, issued books to schools, created reading lists, and made sure that every little hand was clean. In 1911, the children’s room moved to a larger room that could better accommodate the many young visitors using the library on a regular basis and the ever-growing juvenile collection whose circulation numbers in the previous fiscal year was over 32,000, which accounted for about 21 percent of the total circulation. This new room was located between the main reading room and the catalog department and came to be known simply as the Juvenile Department. It was during this transition that the Library hired its first children’s librarian, Grace M. Canright. Very little is known about her other than that she served in that capacity for seven years; and one might imagine that during her tenure at the Pasadena Public Library, Miss Canright was that genial and sympathetic woman who made the children feel at home in the library and who, inspired by the words of William Fletcher, suggested books that awakened their interests and cultivated in them a taste for good reading and good things. Since its opening in 1890, the main library had been experiencing a steady increase in visitors mainly as a result of the booming population of Pasadena at the turn of the century. By 1913 the building had become inadequate in housing the expanding collection of books and periodicals and providing useable work and reading space for both staff and the public. Furniture and shelves were rearranged in various rooms to create more useable space and also to make the inside appear more spacious. But this rearrangement had limited success, and it was finally decided that some rooms would also be relocated. In 1918, the Juvenile Department was moved to the nearby B.O. Kendall building on Raymond Avenue and Union Street. The children’s room was now a block away from the main library and was known as the Children’s Annex. The Annex was well-suited for the Juvenile Department with its many windows and relatively spacious interior. Miss Russ described the room as being large and “splendidly lighted” for juvenile work with a fireplace “for the story-hour on winter days” (“Downtown library taken,” 1918, p.1). Its collection had grown to over 15,000 books, so the extra space was very much needed. Relocating the children’s room farther down the street wasn’t the most ideal decision, but it was a necessary one at the time. The new place provided adequate space and would do until a new children’s library could be built next to the main library, a plan that had been under consideration prior to the move but which had to be put on hold because of World War I. When Jeanette Drake became head librarian in 1919 plans to build a children’s library were again considered. The Children’s Department had by this time become more involved with the local schools doing more visits and providing reading lists and books to classrooms.4 The Library was also preparing to start a Vacation Reading Club, and by 1920 with so many activities and programs the need for a new building became an urgent matter. Miss Drake believed that having the Children’s Department closer to the library would make it more efficient to serve young patrons, a view that was shared by J.W. Wood, Chairman of the Library Advisory Board, who in the 1919–1920 Annual Report stated that “the fact that these children are the coming citizens and should not be neglected makes this a paramount duty” (p. 6) Wood viewed public libraries as not just a forum of general information but also of civic training, and in many regards, catering to the moral and intellectual needs of Pasadena’s young citizens was a civic responsibility that the Library dutifully performed. The Children’s Annex was in use until the Boys’ and Girls’ Library opened in 1922. The new building was adjacent to the main library and was by all accounts self-sufficient. It was a beautiful one-story bungalow that had a main room, a story-hour room, staff work room, a kitchenette, and “retiring rooms” for staff. There was also a fireplace in the alcove of the main room possibly for story hour during the winter season. With this new building, the Children’s Department was able to do more for the children of Pasadena. One of its main goals was to further its work in reaching out to the young and develop in them the reading habit as well as help cultivate a taste for better books. The children’s librarian and staff were very much interested in what their young patrons were reading and spent a great deal of their time helping them select books to read. By knowing their readings interests, as a news article of that time noted, the librarian was able to make suitable suggestions, “often interesting the young people in things more worth while, as well as leading them into new paths” (“Boys and girls of Pasadena,” 1922, p. 6). Additionally, the Children’s Department wanted to attract more children to the library and show them how to use its resources. Working closely with the Board of Education, it asked the schools to send their pupils to the library during school hours. During these visits, students were taught the arrangement of books and how to find them using the card catalog. Sometimes the students came to read for an hour with the purpose of getting them interested in books, improving their reading, and establishing the “library habit” (“Boys and girls of Pasadena,” 1922). The Boys’ and Girls’ Library served the children of Pasadena for five years, during which the Library’s work with children had cast it as a leader in children’s services. In 1927 the Central Library was completed and opened its doors. It replaces the main library located on Walnut Street and Raymond Avenue, and it is here that the Children’s Department found its permanent home in the Peter Pan Room, so named because of the huge fireplace with its Peter Pan frieze. Beautiful in its architectural design and magical in its ability to stir one’s imagination, the room is a special place for both children and their parents and all who never outgrew their love of children’s literature. Over the years it has seen a couple of major renovations; the first being an addition of a storytime room in the late 1960s and the second being a restoration and modernization of the room in 1989. It was renamed the Ernestine Avery Children’s Wing in 1990 in honor of Ernestine Avery, whose family helped make the second renovation possible. The Children’s Wing remains one of the treasured rooms of the Central Library. From its humble beginning in a corner of a room in 1899 to its current home in the renowned Peter Pan Room, the Children’s Department at the Pasadena Public Library has a long history and a proud tradition of serving children of all ages. The Pasadena Public Library may not have been the first to have a children’s room or to offer services to children, but, to quote Sebak (2011) in his reference to the children’s department at the Carnegie LIbrary, “we may have had the first really good one, carefully managed and ‘organized’ by a caring staff of well-trained librarians. We taught the rest of the world what makes a quality children’s department” (para. 9). 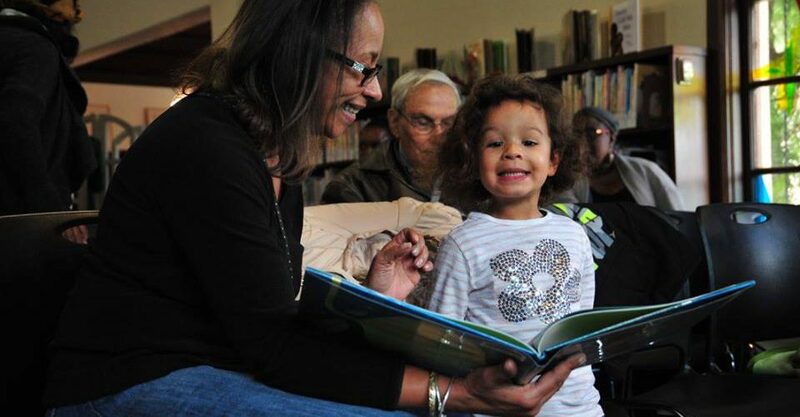 Today, the Pasadena Public Library continues to be a leader in offering world-class children’s services. It remains committed to improving children’s literacy and providing an environment in which children can learn and have fun, a commitment that is further strengthened by hosting the Pasadena Office of the Young Child, which seeks to “create an environment where young children are healthy, safe, and find success in school and life”—a mission that is not too different from the mission of the Children’s Department. And like the early work of Miss Russ and Miss Drake and their staff, the Children’s Department, in one form or another, continues to promote good citizenship and a respect for others through its programs and its treatment of all those who visit the children’s room. 1Legal and social definition of what it meant to be a child in nineteenth-century America was different than today’s concept of childhood. Children under the age of twelve or fourteen were prohibited from many public libraries in the early 1800s, and those who were over the age of twelve often had to be accompanied by an adult to gain entrance. 2In “Open Wide the Doors: The Children’s Room as Place in Public Libraries, 1876–1925,” Kate McDowell notes that “room” was sometimes used metaphorically to mean any space where children were welcomed. Early children’s rooms in libraries were simply alcoves or corners of a room that were designated for children. In a more literal sense, some libraries converted their basement to a children’s room. Beginning in the 1900s, many new libraries were designed with a children’s room in mind. 3The 1901 Annual Report mentions that the children’s room had been used by children since reopening day September 22, 1900. Reopening day is referring to the reopening of the library after it was closed for a period of time for renovation work. 4The Juvenile Department was referred to as the Children’s Department beginning in the 1918 Annual Report. Boys and girls of Pasadena have library all to themselves. (1922, April 8). The Christian Science Monitor, p. 6. Board of Trustees. (1901). Pasadena municipal reports 1897–1901. Pasadena, CA: Board of Trustees. Cain, A., & Zorbas, E. (1982). 100 years of service: A history of the Pasadena Public Library, 1882–1982. Pasadena, CA: Pasadena Public Library. City Auditor. (1910). Auditor’s report 1901–1910. Pasadena, CA: City Auditor. City Auditor. (1913). Auditor’s report 1911–1917. Pasadena, CA: City Auditor. Dickson, P. (1986). The library in America: A celebration in words and pictures. New York, NY: Facts On File Publications. Dirty hands banned. (1900, August 18). Los Angeles Times, p. 15. Downtown library taken: City leases second floor at Union and Raymond for new branch. (1918, June 18). Pasadena Star News, pp. 1, 6. Education is feature of work here. (1927, February 11). Pasadena Star News, p.17. Jenkins, C.A. (1994). Children’s services. In W.A. Wiegand & D.G. Davis (Eds. ), Encyclopedia of library history (pp. 127–131). New York, NY: Garland Publishing. Pasadena Public Library. (1918). 1918 annual report. Pasadena, CA: Pasadena Public Library. Pasadena Public Library. (1920). 1919-1920 annual report. Pasadena, CA: Pasadena Public Library. Peter Pan looks back. (1940?). [Excerpt from the 1939–1940 Annual Report]. Pasadena Public Library History (Box 7, Folder 3). Pasadena Public Library Institutional Archives, Pasadena, CA. Urge Civic League to demand vote on bonds for new library building. (1915, May 3). Pasadena Daily News, pp. 1, 10. Walter, V.A. (2001). Children and libraries: Getting it right. Chicago, IL: American Library Association. Wiegand, W.A. (2015). Part of our lives: A people’s history of the American public library. New York, NY: Oxford University Press. This entry was posted in Featured on November 2, 2017 by Linda Stewart.